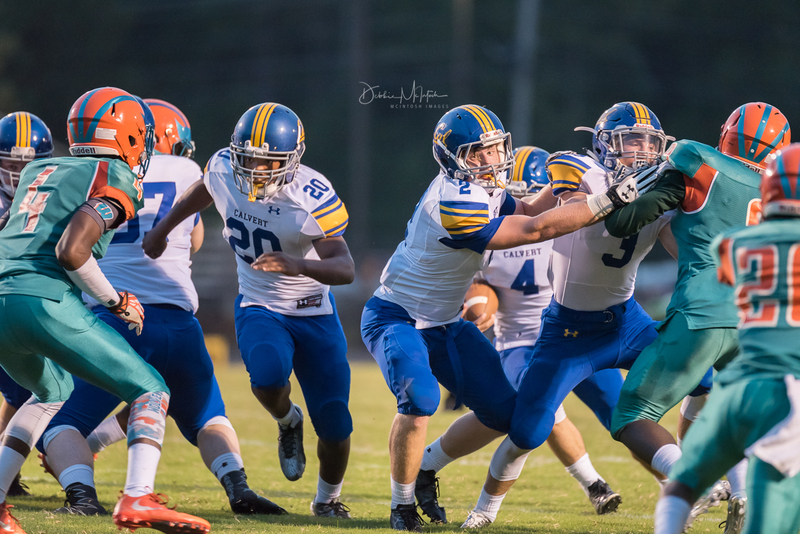 The Calvert varsity football team took on the Westlake Wolverines on Friday and were looking for their straight victory. The Wolverines received the kickoff, but they did not possess the ball for very long. On their sixth offensive play of the game, David Allwine forced a fumble that Jacob Bowne recovered on Calvert’s own 45 yard line. 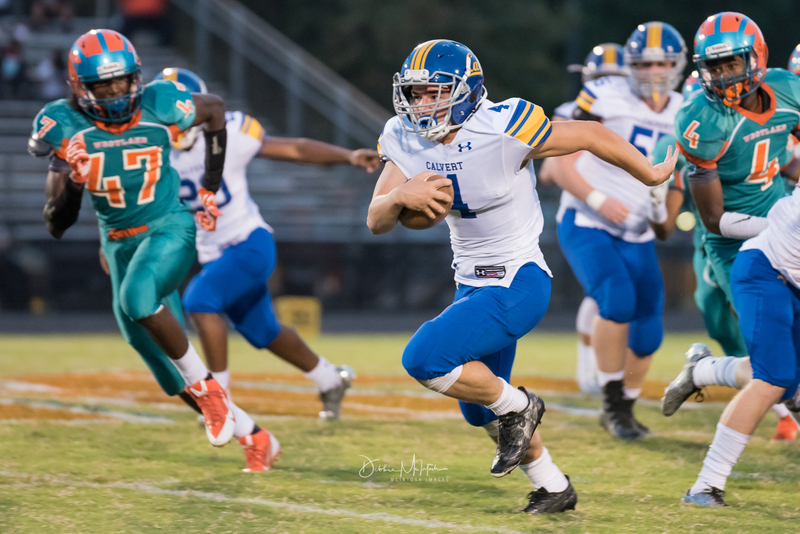 Calvert running back, Gavin Lusby, scampered for a 50 yard gain to put Calvert at Westlake’s 5 yard line. 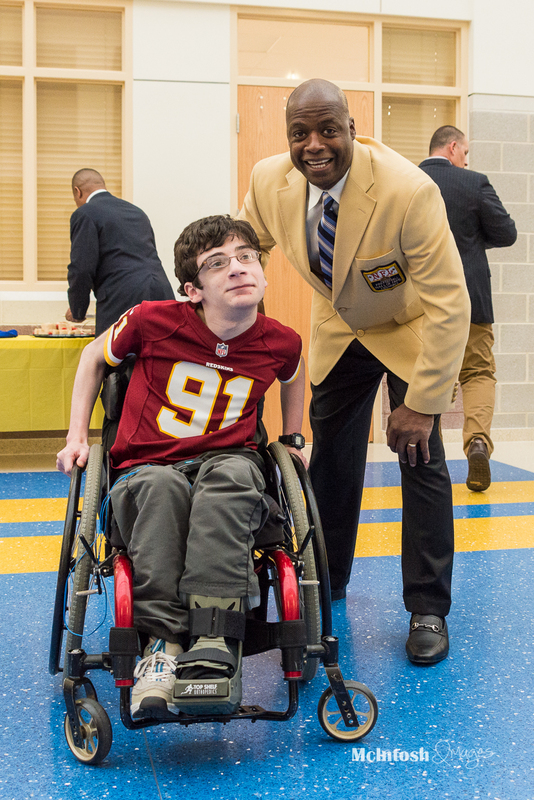 However, during the Calvert’s offensive series, the ball was fumbled at the 1 yard line. Westlake returned to Calvert’s 25, only to be halted by great hustle from Dre Mackall and Gavin Lusby. Later, the Calvert offense struggled to move the ball, resulting in a turn over on downs when they could not convert on fourth down. 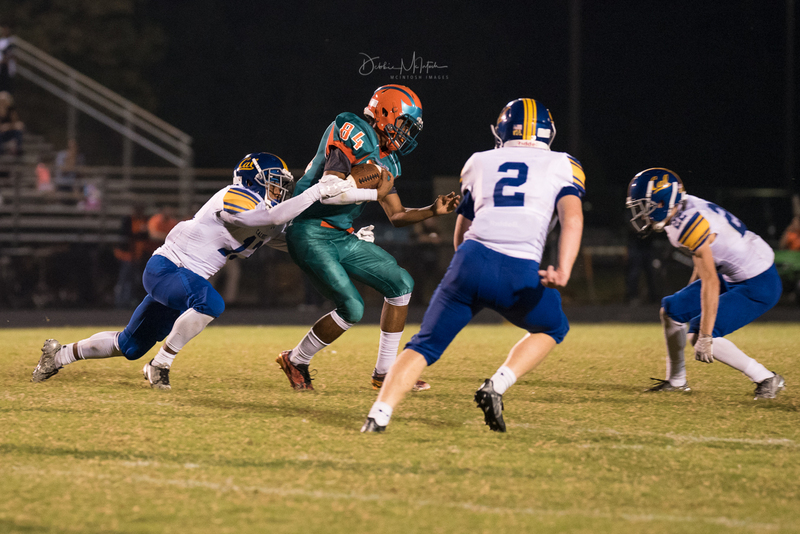 In the second quarter, Westlake’s offense started to move the ball, with the help of a few Calvert penalties, which included a horse collar tackle. With five minutes to go in the half, Westlake quarterback Jalen Spencer completed a 7 yard touchdown pass. This put Westlake on the board first, making the score 7-0. The Cavaliers trailed going into halftime by the same score. The Cavaliers started the third quarter with the ball, but continued to struggle offensively. 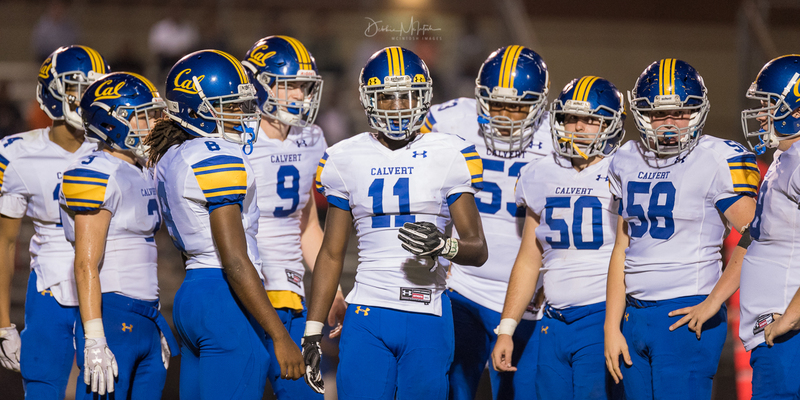 Calvert running backs Dre Mackall and Leon Campbell were able to put together a few decent runs, but Calvert was rarely able to capitalize or change battle for field position. After a Calvert punt, Westlake capped a 14-play drive with a Jordan Brumfield rushing score. Westlake took the lead after a made extra point, 14-0. 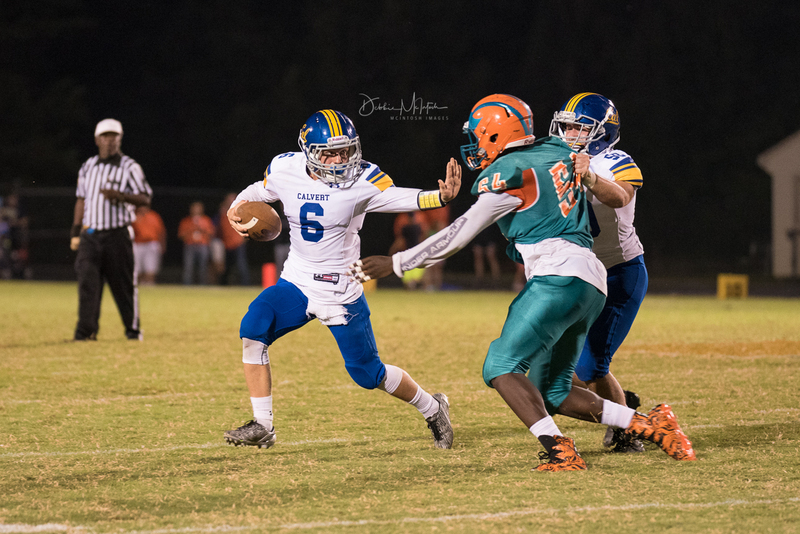 In the fourth quarter, Calvert tried to cut into the lead, but were stopped again by the stingy Wolverine defense. Westlake took the win, while Calvert falls to 2-2. The Cavaliers take on the North Point Eagles next Thursday night at Cavalier Stadium.